We realized we needed help with my mother-in-law and I asked an elder care nurse for a recommendation. She gave me Right at Home. When I looked at the reviews I gave them a call. Elaine and Dan F., the owners, came the next morning (a Sunday!) and explained to me their business. I think the thing that immediately clinched it was the understanding that their people are throughly background checked, trained and insured. I had been trying to line up "off the books" help that would have cost a few dollars less per hour. But when I realized if those people got hurt in her house, that those few dollars would have evaporated if we got sued. The people Right at Home sent were amazing! Respectful, compassionate, knowledgeable, efficient, warm, friendly. Such great people! They helped with getting her washed and ready in the morning (including diaper change), meds, breakfast and other support. With Dan and Elaine's help, we figured out the 5 hours that would help us the most...first thing in the morning to 11:30AM. It gave me an opportunity to leave the house and do errands, meet friends, exercise, knowing that my mother-in-law was in great hands. I wished that we had hired them sooner. We were so worn out physically and emotionally before they started. And if we needed extra hours, it was a phone call and it happened. One of the caregivers, Maria Elva, was with us when my mother-in-law (95!) passed. Thank goodness because my sister and I would have not understood what was happening and what to do. Elva was compassionate and kind, explained what was happening, and helped us deal with her passing. Truly an exceptional caregiver. Do not hesitate for even a second to work with Right at Home. Peace of mind is an important thing - and we were always assured peace of mind with the services provided by Right at Home. Dan & Elaine truly care about their clients and are always there when you need them... unlike other caregiver services we had used in the past. The staff is attentive, professional and so efficient. Schedules were always met & we could always depend on someone to be on hand to help when needed. The caregivers are professional & possess a quality work ethic. When it was time for my mother to seek more comprehensive 24-hr care, Elaine was there to offer invaluable advise & guidance in helping with a successful care home placement. Right at Home was always there for us! 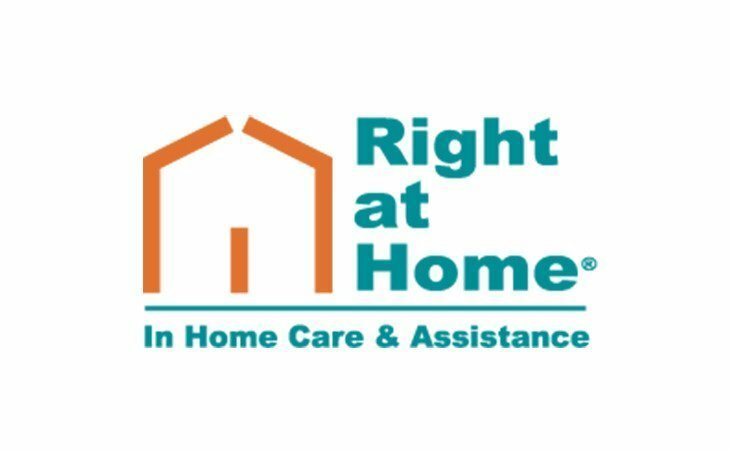 Our family contracted with Right at Home (Palm Desert) to help our mother return home after a short stint at an assisted living facility. If it was not for the excellent care provided, our mom wouldn't have been able to manage well (or safely) on her own. From our first meeting with Dan and Elaine, it was clear that this is not some part-time business or (just a) financial investment on their part. Both are very actively involved on a daily basis in everything going on, and easily accessible. All staff members (caregivers) have been caring and attentive, punctual and responsible. We wouldn't hesitate to use Right at Home again, and have already referred other relatives to them for similar home care. In October of 2016, my mother needed eyedrops 4 times a day after surgery. I live in Los Angeles, 130 miles away from my parents, so I sought out home care services. The first company we chose was unreliable, often not showing up as expected. We later realized the company's headquarters was in another state. After a few months of their madness, we found Dan and Elaine, owners of Right at Home in Palm Desert, my parents' hometown. They definitely fulfilled their promise that someone would always be there. Even the office staff pitches in if need be. Dan, himself, ran out to my parents' house to check on them during an electrical outage. Being so far away, it gave me peace of mind to know they were okay and looked after. As time went by, my parents needed more help, and Elaine was there to schedule another shift to accommodate them. Right at Home's staff was always kind and helpful, going beyond the call of duty. We recently stopped their services as it was time to bring my parents back to LA. I highly recommend this fine company. Everyone is professional, reliable and friendly. My parents felt at ease with their caregivers, and when the family would be there, they were always accommodating. Thank you Dan and Elaine! This a very professional outfit. Dan and Elaine were very involved in the initial assessment of my Mom's needs and got started right away. The women who looked after my Mom were very helpful and really made a difference in her recovery after surgery. Mom is fine now and self sufficient, but if she ever needed in-home help again, I would not hesitate to call Right at Home. Right at Home does things that help me with their services. My life is easier because Right at Home does things for me so I don't have to do them myself. I was so happy when my 92 year old mom accepted the idea of outside help, and agreed to a meeting with Elaine and Dan here in her own home. They were very helpful in guiding her to the right plan. She liked her caregivers from the beginning and relied on their help for doctor visits, grocery shopping, outings , and company. The company they provided was as important as any task. That turned out to be a happy surprise. Though I visited her often, I live in Colorado, and her well-being was always on my mind. When emergency room visits were required, Dan and Elaine acted more like family. And when she was recently hospitalized, Elaine and mom's caretaker both stayed with her through the admission process, and Elaine remained until close to midnight until mom was in a room, all the while keeping me updated. Their compassion and commitment to their clients still brings tears to my eyes. My mom agreed. Right at Home has a genuine interest in helping people. It will become immediately apparent to you if you invite them to interview. Trust these wonderful reviews. They are all true and from the hearts of very satisfied and grateful customers. Last year my mom had a bad fall and it was obvious that she was going to need some help. My siblings and I live out of state so we needed someone local to help out. After doing some research on local agencies we decided on Right at Home. Dan and Elaine met with me and my mom within a day of my first call. They were professional and caring and knew just how to handle the situation. My mom, having been totally independent up until this point, was very reluctant to have someone in her home. But Dan and Elaine did a great job of choosing the right caregiver. In no time at all my mom started looking forward to the visits and was able to gain strength and improve significantly. Even after she was able to drive again and do most things for herself, knowing that someone was there with her a couple times a week was a huge comfort for me. I highly recommend Right at Home, Palm Desert to anyone needing care for a loved one. From fixing TV remotes to managing medication and help with everyday tasks, Dan and Elaine and their entire staff are responsive and understanding. They treat their clients with respect and compassion. I don't know what I would have done without them. My aging, fiercely independent parents reached a point where care in the home was required and their children all live too far away to provide they care.. Dan & Elaine F in Palm Desert came to the rescue! Their level of care and attention has exceeded my expectations- for example, my 91 year Dad has been the care giver for my Mom who is recovering from back surgery. Dad sprained his knee on a Thursday and by Saturday he couldn't walk. Big problem! He called Dan. They didn't have a nurse available. So what was there solution? Dan and his wife Elaine personally picked up my Dad, took him to urgent care, waited with him, took his prescription to the pharmacy and then dropped him off back at his house. Truly extraordinary care and compassion! I can't thank them and their highly talented team enough. They put my mind at ease 500 miles away! We are so thankful for Right at Home and the services they provide. It gives us great comfort to know that our 92 year old father's care is being overseen by such a caring couple as Dan and Elaine. Where other companies have sometimes failed to provide care in the event of a scheduling problem, this has never been the case with Right at Home. An example of this dedication and concern was demonstrated to us in a heartfelt way when Dan himself stepped in to cover a shift in a challenging scheduling situation. He took personal care of Dad that even included going out to a lovely lunch. We know from our personal experience that they will always come through for us in an emergency situation or even in a pinch. We are thankful that there remains people in this business who are in it for the right reason. This is a business that has a real heart for our loved ones at a time in life when they need special care. This company is caring, well organized, and competent. I used their service for just a few weeks while my father was going through his transition. I was happy with the caregivers that were assigned to me and appreciated the extra effort that was given, by management, in case I needed someone during the evening hours. Right at Home is a very reputable company with a great deal of integrity. I was very pleased with their services for my elderly mother who lives across the country from me. They are the real deal. Both Dan and Elaine (owners) are easily accessible and answered all questions thoroughly. I appreciated them going to assess my mother in less than 24 hours from my initial phone call and they had a caregiver in place in less than 48 hours due to an emergent situation of needed caregiving. They are rather flexible and very much willing to tailor the care plan to the patient’s needs at the time, and change it as circumstances evolve. My mother’s caregivers were reliable and very kind. I had the opportunity to spend some time with my mother and one of them. She was nothing but sweet and very patient with my mother. If you would like peace of mind with your loved one, I would not hesitate to select this company. March 1, 2017 RE: Right at Home of the Desert This past January I received an urgent call to help a dear aging friend who lives in Rancho Mirage. My friend had recently undergone kidney surgery, is a diabetic now on insulin, new on needing to use oxygen, and, now urgently, he needed a daily caregiver to assist him in his home. His life had suddenly changed from being totally independent to needing a lot of home care. My friend needed help with his medications, diet, meal prep, trips to doctor appointments, grocery shopping, help with some light housekeeping at his home, and finally, some caring companionship. After a very frustrating search and numerous phone calls for a reputable agency in the Rancho Mirage area via the Internet, I was referred to Dan & Elaine F., owners of Right at Home of the Desert by a close friend who also lives in Rancho Mirage. Right at Home is unique to all the other agencies I had talked to in that they don’t just act as a commissioned intermediary with a potential caregiver, Dan & Elaine F. and their company Right at Home actually hire, train and employ all of their own caregivers. They have an office in Rancho Mirage, a professional staff, and can match you with a caregiver for a few hours per day or for full time 24/7 care. They are fully licensed and truly care about their clients and employees. It was a pleasure dealing with Dan and Elaine, they were personally available and are very experienced and connected with all the services available to help an elderly person in the desert area. Right at Home came to my dear friend’s rescue within a few days of my initial call to them. They personally made a home visit to get to know my friend, assess all of his needs, and they placed one of their caregivers with him, all within two days!!! Right at Home coordinated a dietitian to help plan a nutritious meal plan that met my friends new dietary restrictions. The caretaker they placed with him was very kind, caring and professional. And, Right at Home assured me that if the match with this caregiver was not a good match for any reason, they were a phone call away to accommodate the situation with a new caregiver. We want to thank Dan and Elaine F. for going beyond the call of duty by truly caring and providing help to our dear friend like it was one of their own family members. 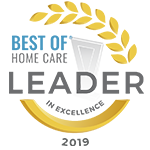 If you want someone you can trust with a loved one in their Golden years, Right at Home of the Desert – owners Dan & Elaine F. and their staff of 60 full time caregiver employees is is the Agency to call! Good-luck!! Can not say enough good things about the them and their company. At the most difficult time of our lives, Dan, Elaine and the entire Right at Home team were simply outstanding. On the business relations side my family and I found them to be efficient and effective, and on the care side they were incredibly human with my parents which is a gift I can never re-pay. The Right at Home team became a real extension of our family through the death of my dad. As we usher my Mom in to this new chapter of her life Right at Home will be right there with us to make it all just a little bit easier. My sister and I walked into the Right at Home of the Desert office, unannounced and overwhelmed with emotion and confusion regarding the sudden needs of our mother. There we met Dan and Elaine Fox, who despite busy schedules, immediately sat down with us and listened patiently, with understanding and compassion, to our needs and concerns. Our mother, who had been living in an assisted living community, took a fall that turned her life and ours upside down. She was suddenly completely incapacitated physically, requiring complete care. This was combined with declining cognitive function that made it impossible for her to advocate for herself. We found ourselves having to navigate a confusing medical system, an assisted living community that offered a care plan that was not actually met, and a move to a new smaller care home. During this process, Dan and Elaine and the Right at Home staff took our hands and walked right along with us on this difficult journey. We have used their care-giving services around the clock, part-day, and part-time. 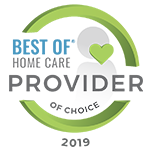 In every aspect we have been pleased with their commitment to service, appropriate standards of care, their flexibility, and their thoughtful and immediate responses to us. There are many things that I appreciate about Dan and Elaine, the owners. First, was the attention they gave to my sister and myself and the knowledge they shared. Second, is the fact that they hire care-giving staff only after a complete background check. Third, the care-giving staff is well trained. We appreciate the fact that Dan, Elaine, and Toni, the care-givng manager, made visits to see my mother and to view the facility, to be certain that they could provide a good care-giver match for my mother, as well as to be certain that the facility was an appropriate site for their caregivers. There is so much positive to share regarding the caregivers my mother has had. They are well trained. They are punctual. They have been observant and have kept careful records of their observations, and the details that happen each day. They have been attentive to our mother's physical and psychological needs, demonstrating understanding of the challenges that aging pose. They have enjoyed TV shows and laughed with my mom, they have taken her for walks, they have had to be patient when her mood is rude and angry, and they have soothed her many a night, Right at Home of the Desert has been a gift to us and we are grateful for their continuing assistance. It is my pleasure to highly recommend Right at Home and their professional caregivers and staff. We needed caregivers quickly and RAH answered our call on a Sunday and by Monday we were able to take my mother home and the caregiver was waiting for us. They continued services for 2 months and we were lucky to have a team of loving people who genuinely cared for our mothers welfare and comfort. We have had previous experiences with other services without a positive outcome so we were grateful for RAH. Right at Home's Fabulous Caregivers have been providing daily, wonderful care for my Parents for over 4 months now, and my Parents are thriving under their assistance. We all have such a feeling of trust, confidence and security in their able hands. I am especially commending Stella for her energy, enthusiasm, professionalism and comfort she provides my Parents, anticipating their exacting expectations and fulfilling their different needs, all with amazing grace and patience. I never have a worry when I know Stella is with them. They adore and respect her, for very good reason. I thank Elaine and Dan at Right at Home for all they do in managing everything and building such a remarkable Team. They certainly fulfill their mission of "improving the lives of those they serve." I will attempt to do justice to my utter appreciation for the compassionate care and support that Elaine and Dan provided through Right at Home. Both as care providers and as administrators, they provided my mother and I a level of informed, quality and invested service that mitigated so much of the stress. My mother experience sudden onset MCI - a hugely, stunning shock to me since I live thousands of miles away from her and had no prior indication just a few months earlier on a visit. Upon discovering this condition when I flew out to assess the situation with my mother, I became deeply aware of how little I knew and how seemingly isolated I was as a result in having to suddenly provide care and assistance for my mother. And that I was shortly going to have to depart for a period before I could return to provide targeted support and assistance while addressing all her medical and livelihood issues. It was a deeply traumatizing and consequently surreal time. In that context I was referred to Elaine and Dan at Right at Home of Palm Desert. Oh my gosh! They came over immediately to meet with my mother and I. They were informative, insightful, obviously caring, very much aware of all the variables at play, and a tremendously calming, soothing and quietly assuring presence for me. All that I hoped for subsequent to that initial meeting was realized through their genuine and expert caring for my mother while I was away (which occurred a couple of separate spans of time). At times their guidance and attention even surpassed my expectations. They're genuine. They're compassionate. They're expert in what they do from both the service delivery and the administrative sides. And you would be foolish to seek out any other provider. This is in no way to disrespect the other quality providers that may be out there. However, once you've got a known quantity, quality and a manifest humanity, why would you trust anyone else with such a profound responsibility? I can never thank you adequately, Elaine and Dan. You are. The Best. My husband was in his final stages of hospice when we contacted Right at Home for some immediate assistance. They had someone to our home with hours and for the next four nights that he was alive. While it was a different person each evening, the staff was exceptionally well trained and carrying. We could not be more pleased. THANK YOU! We are very glad we selected “Right at Home” from the many agencies in the area. Their team is very professional, highly skilled, kind and compassionate. Dan and Elaine were very responsive when our need arose. Within 24 hours, we were organized for our 90 year old family member to return home. Her readjustment from hospital to home went very smoothly. Sadly our aunt passed much more quickly than we had anticipated. With the help of Right at Home we were able to fulfill her wish to die at home. They coordinated well with home hospice. They were wonderfully supportive to all of us, patient and family. I cannot say enough good things about the excellent care and service we received from our very first telephone call to the end, all in a short and intense period. I would highly recommend Right at Home. We have caregivers three times a week, three hours a day from Right at Home. It’s very good so far and we’re satisfied. They come on time, they’re on top of it. We have two different caregivers. The staff so far is so good. Pricing is good except that I’m paying for an extra hour that I really don’t need. I just need two hours. They will do light housekeeping, hygiene and all I need is for my husband to get cleaned up and ready for the day. Right at home did a great job getting my father in law back on his feet. The in home care providers were friendly, able, and trust worthy. Highly recommend. Right At Home Care has wonderful, compassionate, caring care givers. Their company guided us through dementia with our mother. Not knowing what to expect in the care for our mom, they were kind enough to help us get the items for comfort, medical doctor visits set up, references of people we would need to help get paper work completed and provided us with outstanding loving care givers. If one didn't match to our moms likes, they were happy to find one that would. Being we lived hundreds of miles away, they jumped right in to make our mom comfortable as if she was their own. We didn't have any complaints that were serious because if something came up they were right there even in the middle of the night when an emergency came up. We never could have done this without Right At Home Care. They enlightened us numerous times and prepared us for the journey that lasted a couple years. Those years went by really fast and I thank God for having them there for our mom and us! Id recommend this company to anyone looking for kind, compassionate people. Thank You RAHC! The care my father has gotten from Right at Home has been dependable and caring at all times. I recommend them without reservation!!! Everyone has been pleasant and capable, and of invaluable help during difficult times! Thank you very much! There aren't adequate words to express what a lifesaver Elaine, Robin, and various caregivers have been to our family. I live 1,900 miles away from my mother. The last six months have been rough. My mom was hospitalized several times, and I tried to get there each time. She really wanted to stay in her home so we employed the services of Right at Home. It got to where I couldn't get there each time. Elaine counseled me over the phone and was a support to both my mother and me. She sat with my mom in the hospital and reported to me continually to let me know what was going on. She would go by and check on her when she got home from the hospital on days when a caregiver wasn't there. When it got to be too much and we knew a change was going to have to be made Elaine helped to convince Mom she needed to go home with me to live. Right at Home isn't just a business. It is a compassionate group of people that I could trust with my precious mother. That speaks volumes. They go above and beyond. I felt immediately secure with them. They are different, as we tried a different agency for one day before we found them. I am so excited that my Mom is going to be with her children, grandchildren, and great grandchildren. We are setting out on a new adventure that I don't believe would have been possible without the services of Right at Home. I will forever be indebted to them and am so thankful they have been a fabulous part of our lives. Right at Home came into our lives quite suddenly when mom was hospitalized and dad, with dementia, needed in home assistance. From the start, Dan provided compassionate, personalized care for our family. We first met Dan in the hospital since mom was too sick to be home and arrangements needed to be made for Dad. Dan provided suggestions and personal experiences that helped us during this very emotional time. We met Elaine shortly thereafter and developed not just a great working relationship, but a personal bond with our family. Both Dan and Elaine are fantastic people. The service they provide is unmatched in my experience as a registered nurse. Their staff are kind, compassionate, friendly, empathetic and professional. I would highly recommend Right at Home. We give tremendous credit to the hard work of the remarkable staff at Right at Home that my mother has rallied so successfully and is no longer on hospice. Through the hard work and dedication of their staff and my mother's own "grit", we have been able to get her off hospice and back onto her health Insurance plan. We have grown extremely fond of the Right at Home caregivers who have worked so diligently on behalf of my mother and we give them full credit for her recovery. They have each brought something very special to the care of my mother and we have been impressed by their professionalism and the care they have provided. Dan and Elaine, the owners, came to our home the same day I called them about our situation and conferenced with me in person regarding the care that was needed. They were “hands on” throughout my mother’s care and were available whenever I had a question or concern. I have been so impressed with everybody I've met with Right at Home and they will be my first recommendation to anybody looking for home caregiver service. I can't think of a single thing I would recommend for improvement. Even Robin, whom I have never met but who has conferenced with me on the phone whenever I needed support, has made us feel like highly valued customers and has provided valuable information when we needed it. Right At Home Senior Care is a very good company to work with. The caregivers are bonded and insured. They provide excellent care to my in-laws. They are kind, they're courteous, and they're considerate. My father-in-law is in his final stage of kidney disease and he's on dialysis three times a week. He'd be 90 in March and has also early stage of dementia. They were very careful in orchestrating the right person to come in and be the caregiver for my in-laws. We're very satisfied with their service. We've been working with them since September. Dan and Elaine were great! They have been providing care for my mom for the last few weeks, since she has hip replcement surgery. They came to Mom's hospital room to meet with us, and had a caregiver for us when she discharged the next day. I am so grateful that my Mom has the care she needs, as I live too far away to provide it myslef. What should caregivers and potential clients know about Right at Home Palm Springs and Desert Cities?